The day begins with bourbon. 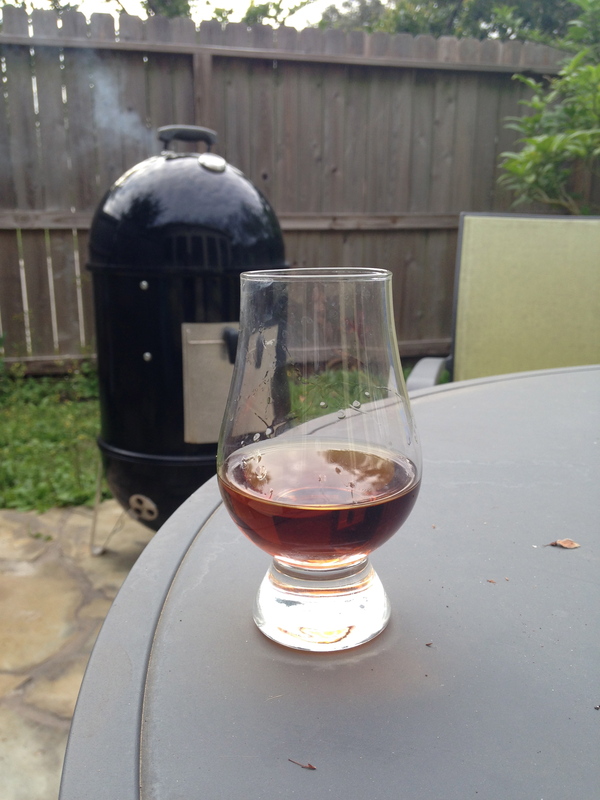 Well, actually the day began with the removal of the pork belly from its brine, lighting of hickory wood, and now since my only duty today calls for a careful watching of the smoker, I feel morally sound in tipping a glass . . . or two. Three pounds of pork belly should take about six hours. Doesn’t it look lovely. All that velvet-like fat ready to slowly drip into the meat. Maybe I should explain the full ramifications of this meal. The boy turns ten and he’s asked for pork belly and black truffle butter sauce. He has good taste. The family loves it’s pork belly, roasted or smoked, so certainly our family cuisine has turned him into a cochon-lover, but black truffles? A bit on the expensive side to be a regular dinner choice, then how? I blame Anthony Bourdain. The Parts Unknown Quebec episode must rank as our most loved moment of gastronomy. I would love to meet Joe Beef’s Dave McMillan and Fred Morin. Did you note the black truffle and black truffle shaver? 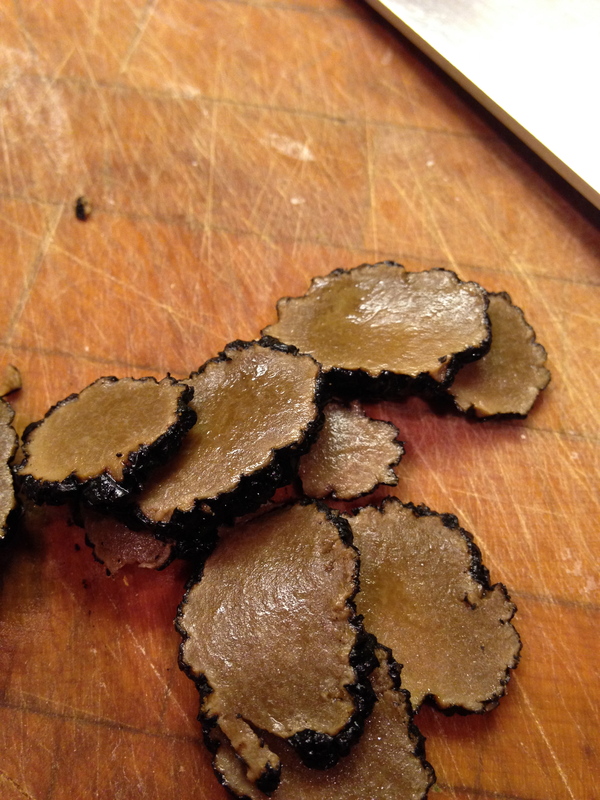 Early in the episode, black truffle makes its appearance on foie gras. Yes, the boy wants his black truffle butter. So it goes. No one said it would be easy or cheap raising a gourmand. 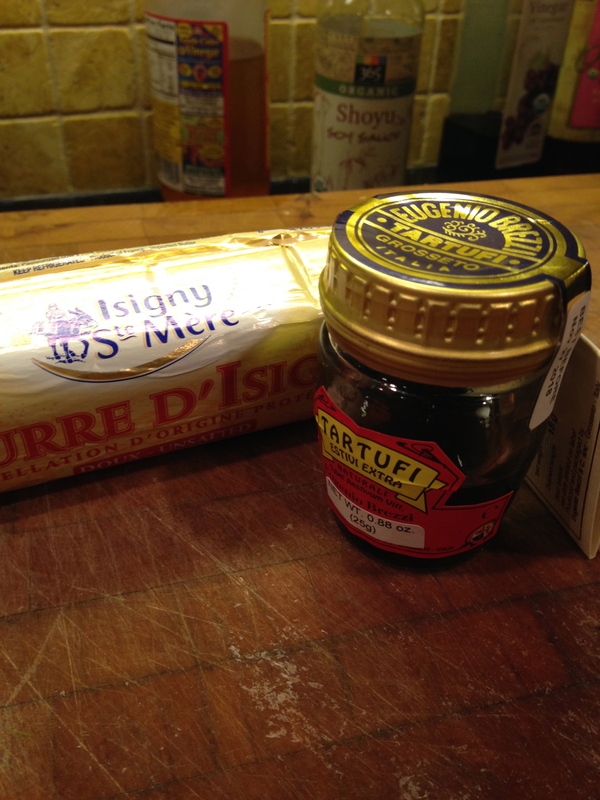 And that’s right, I’m using Isigny Sainte-Mère beurre and Winter Black Italian Truffles from Eugenio Brezzi. Not as resplendent as a fresh black truffle grated, but I will have to make do. Ah, the earth and what grows deep within. I know this isn’t strictly, exclusively Southern; however, the wealth of Southern cuisine resides in its great mingling of food from around the world: from China, from West Africa, from France and more, the South takes them all in and sautés and smokes until all the goodness swims in your mouth. 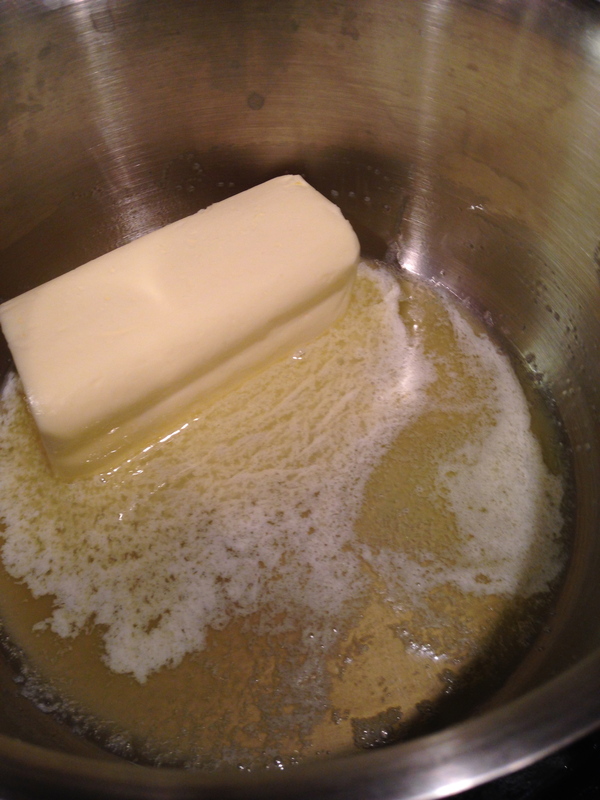 Time for the butter. Now, where am I? Oh, that’s right. Testing the grass and border garden. The glass of bourbon bell jars the end of day as pork belly smokes, black truffle butter rests, and surprises are on the way. But for now, it’s enough to muse on the words of Charles Wright. To follow him as he moves from lawn chair to back porch, walking the lotted land of suburban or urban life, and still to attempt to see through the particular to the transcendent. Well, another sip of bourbon and some music. Bon Appétit. Thank you for introducing me to Uncle Tupelo. 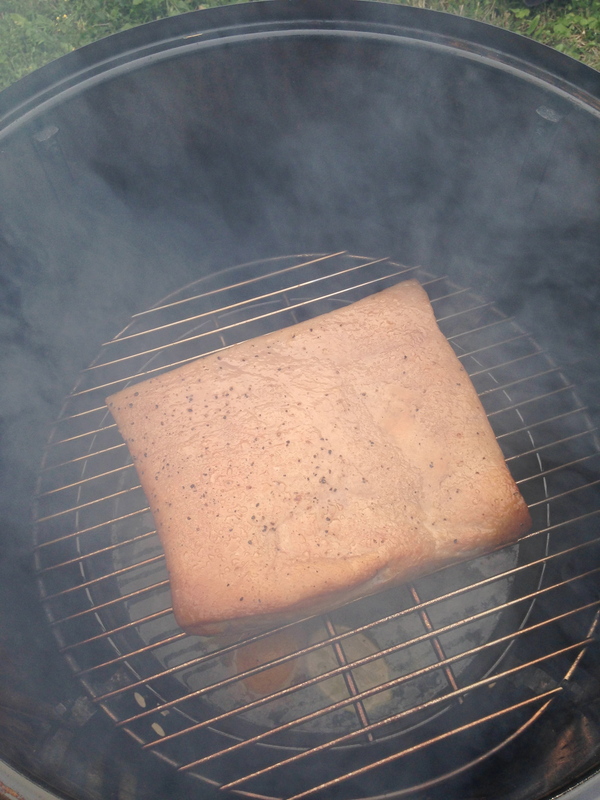 How long did you soak the pork belly in brine? You’ll love exploring their music. They disbanded awhile back and then Jeff Tweedy formed Wilco and Jay Farrar formed Son Volt. Great bands. I brined it overnight, the minimum time would be six hours. I’m brining a whole chicken right now in black tea. Ha! 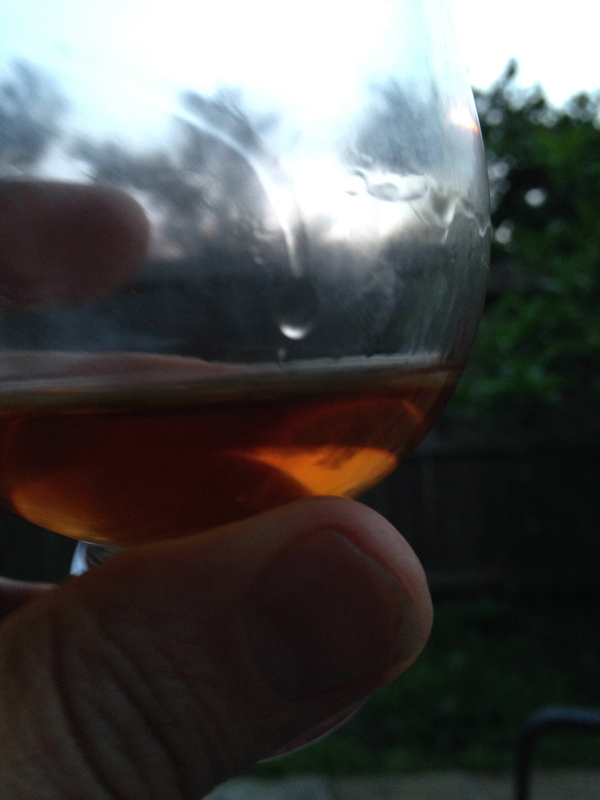 The recipe of course comes from Sean Brock. I’ll probably post that soon. Hey, that is one fanatic beagle you have! Thanks for reading. I want to be ten again.